You might ask yourself why you should choose cables from us, and not from somewhere else? It’s a fair question. There are many very good reasons. First of all we’re Australians. We’ve been producing tailor-made cables here since 1944. We know what it takes to deal with the many different challenges that tough Australian conditions require. Second of all we combine this local knowledge with the strength of being a global market leader. Being the world’s largest producer of power and telecommunication cables means we have the muscles to innovate and customise our solutions to perfectly match your needs. At our disposal we have 97 manufacturing plants, 17 research and development centres and around 22 000 employees. In addition we co-operate with universities, scientific institutions and, perhaps most importantly, with you. Your satisfaction is our livelihood. Based on your needs and your feedback we constantly improve to make sure our offer fits the bill. No matter what kind of cable you need, we have it. And if not, we’ll invent it. And it doesn’t end there. In our offer you’ll find the best technical support on the market – before, during and after. That’s why doing business with us pays off. 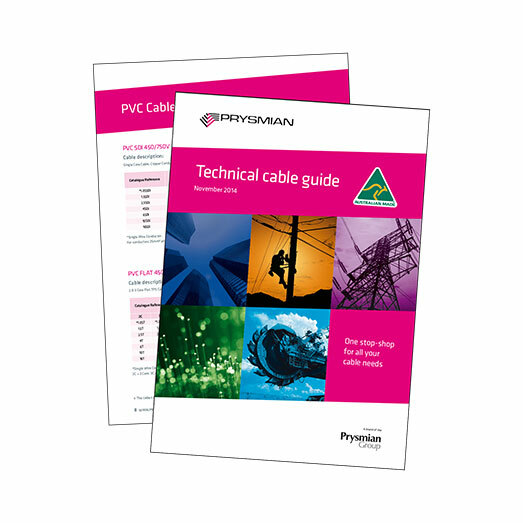 Please accept this latest edition of the Technical Cable Guide with our compliments.